Add business cards (1 kind) for just £20! Add business cards (2 kinds) for just £20. Capacity - what is it and how much do I need? All prices include delivery to 1 UK address. please call us on 0800 567 7540. 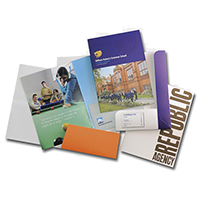 Our standard folder stock is 350gsm silk - this is perfectly adequate for most folders. We can also offer gloss for a shinier finish, or uncoated for a rougher feel. For extra weight and stiffness, we also offer silk and gloss in 400gsm. 485 micron box board is only coated on one side, and is most suited for products which are printed on one side only. Click here for more information on Stock Options. 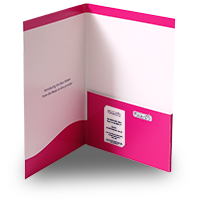 Business card slots are available on many of our folders. 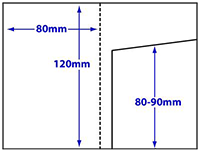 Often there are several possible positions or sizes - these are shown on the PDF Template, which you can download from the relevant product page. Click here for more information on Business Card Slots. 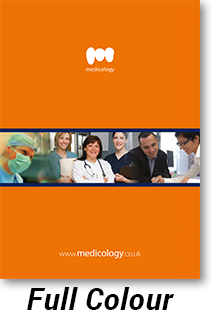 Lamination is an ultrathin plastic coating which helps to protect your folders whilst providing a professional finish. We offer gloss or matt lamination for website orders. 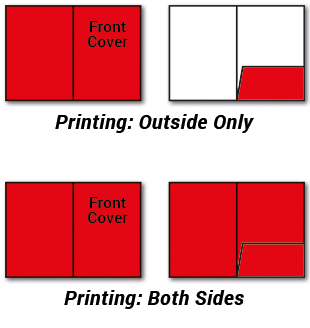 You can choose to have lamination to both sides, or to the outside only (front cover, back cover, spine and pockets). 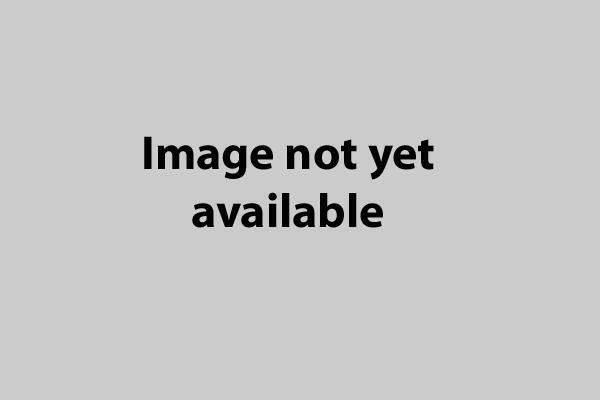 For other finishes (e.g. spot UV varnish, foil blocking, soft-touch lamination) please contact us to request a quote. 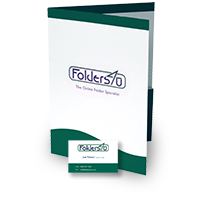 We strongly recommend lamination for capacity folders. This helps to prevent cracking along the fold lines. Please note, laminated finishes are resistant to ballpoint ink, so are not recommended for products intended to be written on. 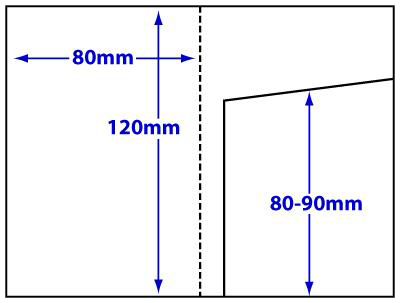 Click here for more information on Lamination Options. 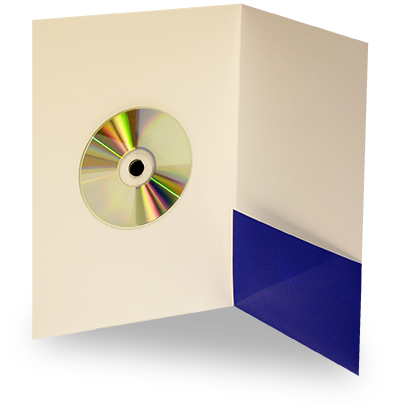 Most of our folders come with the option of an adhesive foam dot, to hold a CD or DVD. If more than one dot is required, please contact us for a quote. Click here for more information on CD/DVD fixings. 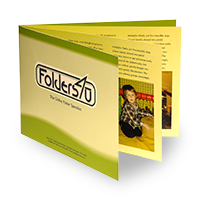 Folders may be printed outside only (one side) or both inside and out (both sides). 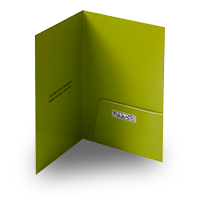 Outside only includes printing to the front cover, back cover, spine (for capacity folders) and pockets/flaps. Both sides includes printing to the inside covers as well. Click here for more information on Colour and Printing Options. We can print in full colour (CMYK process), or using either one or two spot colours (special inks). Please note, white does not count as a colour - white areas are simply left unprinted. For spot colours, please set up your artwork in the appropriate Pantone colours. 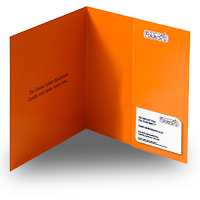 For other colour options - including special finishes such as foil blocking - please call us for a quote. 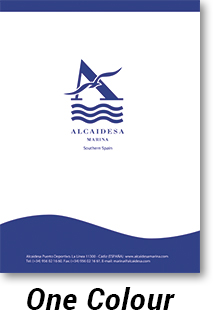 This oversized A7 pocket folder is a smart way to present smaller items such as receipts, tickets and invitations. The deep pocket (80-90mm) is glue-fixed, ensuring the contents will be retained. 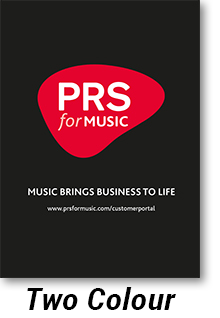 We produce these miniature A7 folders with the same high standards and attention to detail we apply to all our pocket folder printing. 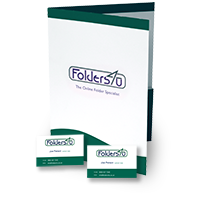 We normally deliver printed folders within 10 working days of sign-off of proofs. We often deliver quicker than this, depending on workload. Please phone us on 0800 567 7540 or email eml to arrange a specific delivery date.